- Meticulously handwoven by our very own skilled artisans and made in finest quality New Zealand wool. - The design is kashan and has been originated from Persia in late 19th century. 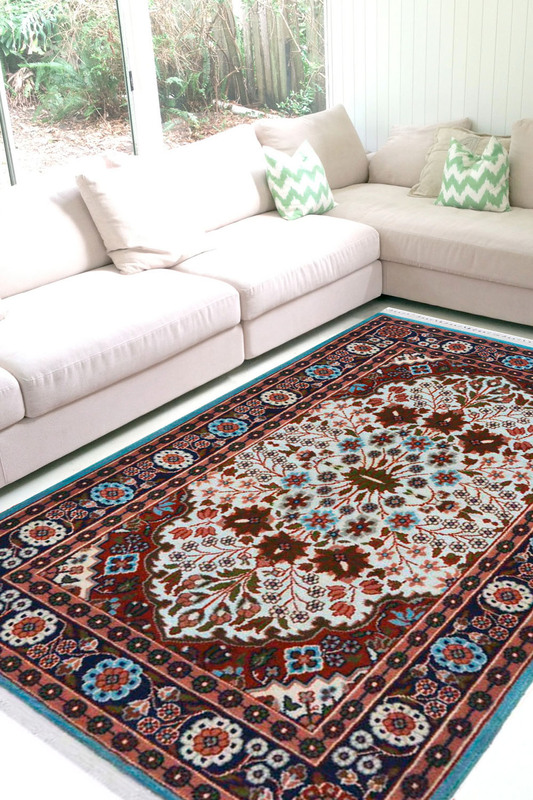 - The center of the rug has a tiny floral pattern and the border has been intricately woven with detailed motifs. - The primary colors of this rug are sky blue, ivory with tinges of light brown and maroon. - Due to its exquisite craftsmanship, this piece can also be used as a wall hanging or a coffee table rug with light interiors.